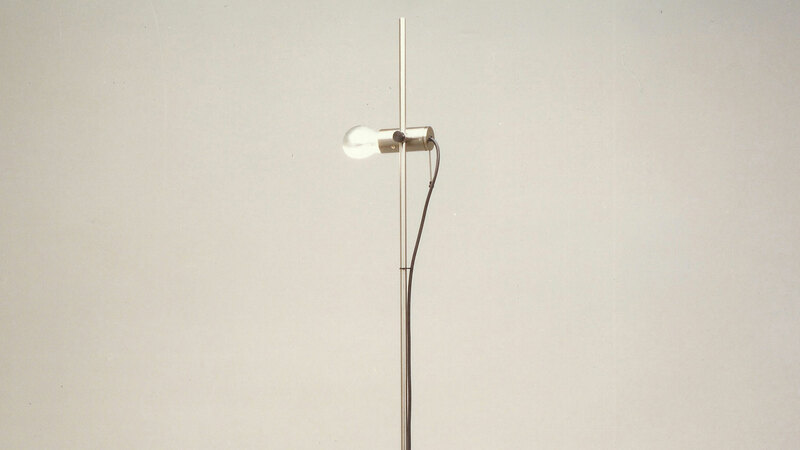 O luce started out in 1945, founded by Giuseppe Ostuni: the 387 model, always know simply as “Agnoli” after its designer, is therefore the oldest item currently in the catalogue. 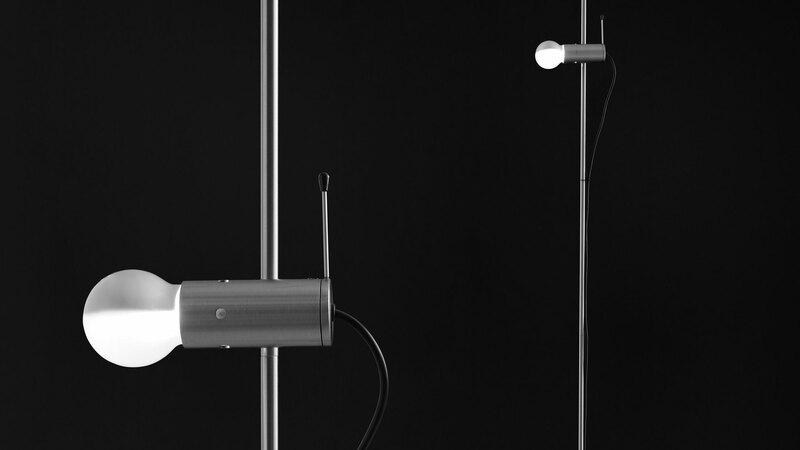 An absolute forerunner of minimalism, the Agnoli model takes the extraordinary “Cornalux” or “hammerhead” bulb, capable of directing the light in a highly precise manner, mounting it onto a sliding tube on a stem. Sophisticated thick travertine base: another element in which simplicity and functionality are transformed into poetry. 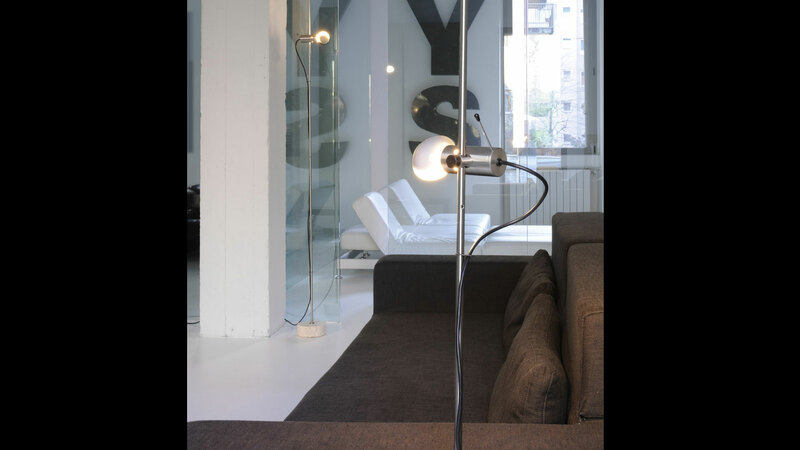 Floor lamp giving direct light, Travertino marble base , stem and height adjustable reflector mat nickel-plated.